I love the low sun and long shadows that are a feature of winter days. Shadows have been a fascination of mine for many years and will continue to be I expect. 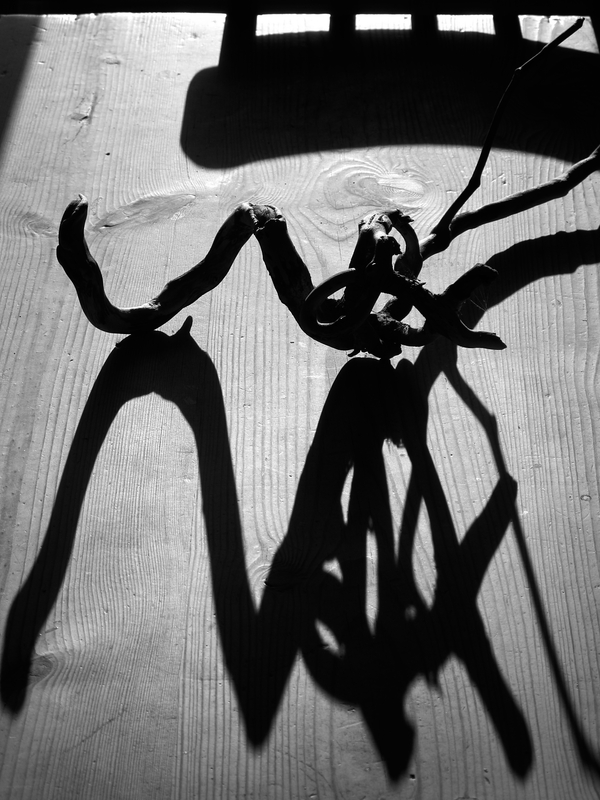 Every sunny winter morning the light shines directly into our kitchen and on this occasion I placed a piece of driftwood on the table to explore the distorted and extended shadows. This entry was posted in 35mm, Alternative processes, Large format, Medium format, Uncategorized and tagged Cameras, Experimental, indoor photography, Light, Seeing, shadows on November 14, 2012 by andrewsandersonphoto.